At the wheel: the new Man Utd manager faces a huge challenge in Barcelona. 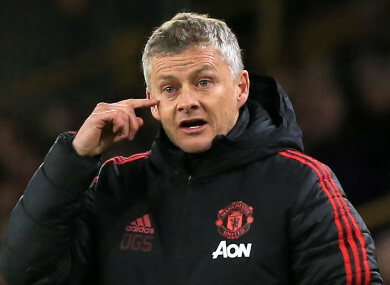 The club previously overcame a deficit against Paris Saint-Germain in Solskjaer’s first Champions League knockout foray, sealing their spot in the quarter-final round. That PSG victory brought back memories of the triumph of 1999, when Solskjaer himself led the club past Bayern Munich in one of the Champions League’s most stunning ever moments. But that moment don’t matter now, Solskjaer says, as the club face a different test. Email “'It was different' - Solskjaer says Man Utd can't look to 1999 for Barca inspiration”. Feedback on “'It was different' - Solskjaer says Man Utd can't look to 1999 for Barca inspiration”.